$1,999 total due at signing, no security deposit required. Tax, title and license extra. Offer expires on 04-30-2019. *Low-mileage lease for well qualified lessees. Based on MSRP example of $35,040.00 with 24B package after all applicable offers. Total due at lease signing includes a down payment and first month’s payment. Offer requires dealer contribution. Tax, title & license extra. Lessee pays for excess wear and mileage of $.25/mile ($0.50/mile for SRT models) for each mile over 10,000 miles per year, if vehicle is returned at end of term. Option to buy at lease end at pre-negotiated price. Dealer’s actual terms may vary. Offer through Chrysler Capital. Residency restrictions apply. Must take retail delivery by 04/30/2019. $395 disposition fee due at lease end. DuPage Chrysler Dodge Jeep Ram (CDJR) in Glendale Heights, IL, has Jeep Wrangler lease specials to help you take this rugged SUV home today. Our extensive new Wrangler inventory has numerous Jeep Wranglers for sale. Simply pick out your favorite model, then match it with a DuPage CDJR lease price or manufacturer rebate. But hurry! These deals change monthly, so be sure to claim your offer now! If you have any questions about our 2019 Jeep Wrangler special offers, get in touch with a DuPage CDJR representative by calling (630) 984-1559 or fill out our contact form. Drive this all-purpose Sport home today*** 4 Wheel Drive, never get stuck again!!! Move quickly!! Priced below MSRP!!! Bargain Price!!! Biggest Discounts Anywhere... Great MPG: 23 MPG Hwy!!! Optional equipment includes: Transmission: 8-Speed Automatic (850RE), Black 3-Piece Hard Top, MOPAR All-Weather Floor Mats..., FREE LOANERS!!!!!! PICTURES ARE FOR ILLUSTRATION PURPOSES ONLY. ATTENTION! This tough-as-nails 2019 Jeep Wrangler Unlimited Sport would look so much better out doing all the stuff you need it to, instead of sitting here unutilized on our lot! Priced below MSRP!!! Why pay more for less... 4 Wheel Drive, never get stuck again.. Great MPG: 23 MPG Hwy! Optional equipment includes: Transmission: 8-Speed Automatic (850RE), Black 3-Piece Hard Top, MOPAR All-Weather Floor Mats..., FREE LOANERS!!!!!! PICTURES ARE FOR ILLUSTRATION PURPOSES ONLY. Gassss saverrrr!!! 23 MPG Hwy*** Right car! Right price!! This really is a great vehicle for your active lifestyle*** 4 Wheel Drive* Incredible price!!! Priced below MSRP. Optional equipment includes: Quick Order Package 24S Sport S, Transmission: 8-Speed Automatic (850RE), Black 3-Piece Hard Top, 7' Radio Group, Convenience Group, SiriusXM Satellite Radio, MOPAR All-Weather Floor Mats..., FREE LOANERS!!!!!! PICTURES ARE FOR ILLUSTRATION PURPOSES ONLY. 4 Wheel Drive! This 2019 Jeep Wrangler Unlimited Sport won't last long at $4,529 below MSRP*** Your lucky day! This is the vehicle for you if you're looking to get great gas mileage on your way to work*** As much as it alters the road, this extensive Vehicle transforms its driver* Optional equipment includes: Quick Order Package 24S Sport S, Transmission: 8-Speed Automatic (850RE), Black 3-Piece Hard Top, 7' Radio Group, Convenience Group, SiriusXM Satellite Radio, MOPAR All-Weather Floor Mats..., FREE LOANERS!!!!!! PICTURES ARE FOR ILLUSTRATION PURPOSES ONLY. Great MPG: 23 MPG Hwy* Priced to Move - $4,617 below MSRP* $ $ $ $ $ I knew that would get your attention!!! Now that I have it, let me tell you a little bit about this outstanding Sport that is currently priced right!!! All Around gem!! 4 Wheel Drive!!!4X4!!!4WD!! Optional equipment includes: Quick Order Package 24S Sport S, Transmission: 8-Speed Automatic (850RE), Black 3-Piece Hard Top, Cold Weather Group, 7' Radio Group, Convenience Group, SiriusXM Satellite Radio, MOPAR All-Weather Floor Mats..., FREE LOANERS!!!!!! PICTURES ARE FOR ILLUSTRATION PURPOSES ONLY. Move quickly!!! 4 Wheel Drive!!! Gassss saverrrr!!! 23 MPG Hwy* How comforting is it knowing you are always prepared with this generous SUV* Priced below MSRP!!! This mighty Vehicle is available at just the right price, for just the right person - YOU. Optional equipment includes: Quick Order Package 24S Sport S, Transmission: 8-Speed Automatic (850RE), Black 3-Piece Hard Top, Cold Weather Group, 7' Radio Group, Convenience Group, SiriusXM Satellite Radio, MOPAR All-Weather Floor Mats..., FREE LOANERS!!!!!! PICTURES ARE FOR ILLUSTRATION PURPOSES ONLY. Priced below MSRP!!! Rack up savings on this specially-priced SUV!!! 4 Wheel Drive!! Yes, I am as good as I look. Gets Great Gas Mileage: 23 MPG Hwy... Your lucky day!!! Optional equipment includes: Quick Order Package 24S Sport S, Transmission: 8-Speed Automatic (850RE), Black 3-Piece Hard Top, 7' Radio Group, Cold Weather Group, Convenience Group, SiriusXM Satellite Radio, Cargo Group w/Trail Rail System, MOPAR All-Weather Floor Mats, MOPAR Cargo Tub Liner..., FREE LOANERS!!!!!! PICTURES ARE FOR ILLUSTRATION PURPOSES ONLY. Isn't it time for a Jeep?!! 4 Wheel Drive, never get stuck again!!! Blow out pricing!!! Priced below MSRP** This is the vehicle for you if you're looking to get great gas mileage on your way to work.. STOP!! Read this!! Optional equipment includes: Transmission: 8-Speed Automatic (850RE), 8.4' Radio & Premium Audio Group, Alpine Premium Audio System, Black 3-Piece Hard Top, Cold Weather Group, MOPAR All-Weather Floor Mats..., FREE LOANERS!!!!!! PICTURES ARE FOR ILLUSTRATION PURPOSES ONLY. Hold on to your seats!!! Jeep has done it again!!! They have built some tenacious vehicles and this tenacious SUV is no exception** Priced below MSRP!!! The price is the only thing that's been discounted on this tough SUV* Real gas sipper!!! 23 MPG Hwy! This kid-friendly SUV, with its grippy 4WD, will handle anything mother nature decides to throw at you!! Classy! Optional equipment includes: Transmission: 8-Speed Automatic (850RE), 8.4' Radio & Premium Audio Group, Alpine Premium Audio System, Black 3-Piece Hard Top, Engine: 2.0L I4 DOHC DI Turbo eTorque, Cold Weather Group, Safety Group, Remote Proximity Keyless Entry..., FREE LOANERS!!!!!! PICTURES ARE FOR ILLUSTRATION PURPOSES ONLY. Priced below MSRP!!! This dependable Sahara is available at just the right price, for just the right person - YOU** All the right ingredients!!! 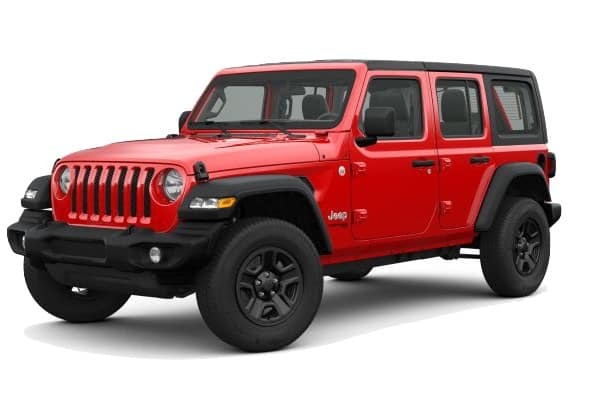 Isn't it time you got rid of that old hooptie and got behind the wheel of this credible 2019 Jeep Wrangler Unlimited Sahara!!! 4 Wheel Drive.. SAVE AT THE PUMP!!! 23 MPG Hwy! Optional equipment includes: Transmission: 8-Speed Automatic (850RE), 8.4' Radio & Premium Audio Group, Alpine Premium Audio System, Black 3-Piece Hard Top, Engine: 2.0L I4 DOHC DI Turbo eTorque, Safety Group, Cold Weather Group, MOPAR All-Weather Floor Mats..., FREE LOANERS!!!!!! PICTURES ARE FOR ILLUSTRATION PURPOSES ONLY. 4 Wheel Drive... Need gas? I don't think so. At least not very much! 23 MPG Hwy... Who could say no to a simply terrific car like this ample Wrangler Unlimited*** Priced to Move - $5,425 below MSRP!! ELECTRIFYING! Optional equipment includes: Transmission: 8-Speed Automatic (850RE), 8.4' Radio & Premium Audio Group, Alpine Premium Audio System, Black 3-Piece Hard Top, Engine: 2.0L I4 DOHC DI Turbo eTorque, Safety Group, Cold Weather Group, MOPAR All-Weather Floor Mats..., FREE LOANERS!!!!!! PICTURES ARE FOR ILLUSTRATION PURPOSES ONLY. Blow out pricing!!! Priced below MSRP. It does everything so well, except be lazy.. Your lucky day! This gas-saving Wrangler Unlimited will get you where you need to go. 4 Wheel Drive! Optional equipment includes: Transmission: 8-Speed Automatic (850RE), 8.4' Radio & Premium Audio Group, Alpine Premium Audio System, Black 3-Piece Hard Top, Engine: 2.0L I4 DOHC DI Turbo eTorque, Safety Group, Cold Weather Group, MOPAR All-Weather Floor Mats..., FREE LOANERS!!!!!! PICTURES ARE FOR ILLUSTRATION PURPOSES ONLY. Dare to compare!! Priced below MSRP!!! Why pay more for less. Tired of the same dull drive? Well change up things with this tough-as-nails Wrangler Unlimited. This is the vehicle for you if you're looking to get great gas mileage on your way to work.. 4 Wheel Drive!!!4X4!!!4WD.. Optional equipment includes: Transmission: 8-Speed Automatic (850RE), 8.4' Radio & Premium Audio Group, Alpine Premium Audio System, Black 3-Piece Hard Top, Engine: 2.0L I4 DOHC DI Turbo eTorque, Cold Weather Group, MOPAR All-Weather Floor Mats..., FREE LOANERS!!!!!! PICTURES ARE FOR ILLUSTRATION PURPOSES ONLY. Runs mint!!! Priced below MSRP!!! The price is the only thing that's been discounted on this marvelous Rubicon!! One of the best things about this SUV is something you can't see, but you'll be thankful for it every time you pull up to the pump* 4 Wheel Drive* This fantastic Rubicon is the tried-and-trued SUV you've been looking for!!! Optional equipment includes: Transmission: 8-Speed Automatic (850RE), 8.4' Radio & Premium Audio Group, Alpine Premium Audio System, Black 3-Piece Hard Top, Engine: 2.0L I4 DOHC DI Turbo eTorque, Cold Weather Group, MOPAR All-Weather Floor Mats..., FREE LOANERS!!!!!! PICTURES ARE FOR ILLUSTRATION PURPOSES ONLY.